It's from humble beginnings that Emond Harnden LLP has grown into the largest labour and employment firm in Eastern Ontario, and one of the leading firms in the country. 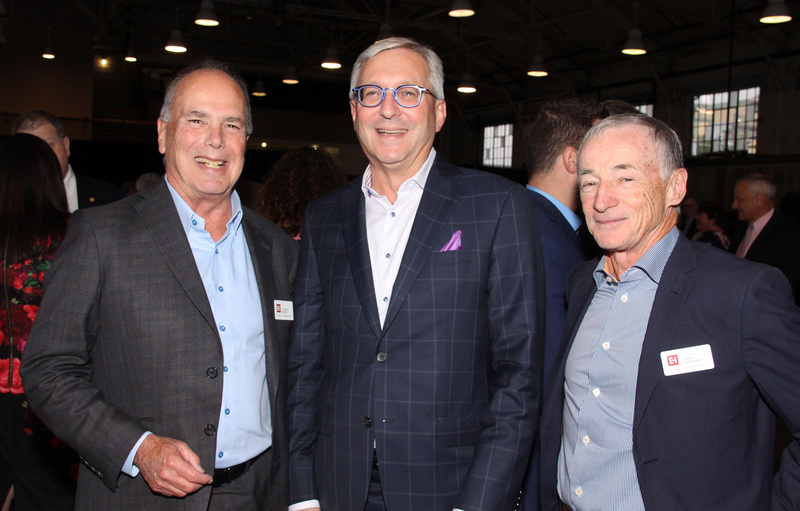 The Ottawa-based firm brought together its clients, past and present, to thank them for their support at its 30 Year Celebration, held Thursday at the Horticulture Building at Lansdowne. Special guests included Mayor Jim Watson. He didn’t arrive empty handed; he brought with him a framed official letter of congratulations for the two founders, Jacques “Jake” Emond and Lynn Harnden. Among the faces seen in the crowd of about 300 were retired chief justice John Richard from the Federal Court of Appeal, Ottawa Chamber of Commerce board chair Ian Sherman, a partner at Ernst & Young, and Dr. Chris Carruthers, former chief of medical staff at The Ottawa Hospital. Al O'Brien, senior partner at Nelligan O'Brien Payne, was there. He and Emond articled together. From the Millennial set was Emond Harnden law student Patrick Twagirayezu, former winner of Ottawa's Outstanding Youth Award, from the local chapter of the Association of Fundraising Professionals. The room heard how the two founders came together in 1987 to open their own firm, relying on a bank loan from TD. “We’re not going to pretend they had a strategic plan or an operational budget or a HR strategy,” Emond Harnden chief operating officer Antoinette Strazza said during her brief remarks. “They had an idea." “What I’m convinced has sustained them through the test of time is their core set of values, two of which are humanity and integrity.”"
Antoinette Strazza - COO of Emond Harnden. Today, the firm has 34 lawyers. Back in 1987, there were only the two … and a half -- the half being George Rontiris, who was an articling student back then, but is now a partner at the firm. In 2016, Emond Harnden was selected by its peers as one of the top 10 Labour Employment Boutiques in the country. The founders also recognized their team of law partners and staff, many of whom have been with the firm for most of the ride. Sports fans will be excited to know the firm's partners include Jock Climie, a football analyst for TSN and retired CFL player.